This kitchen renovation was part of a larger main floor renovation. For this client we developed a colour scheme that involved whites and greys with a contrasting floor colour. 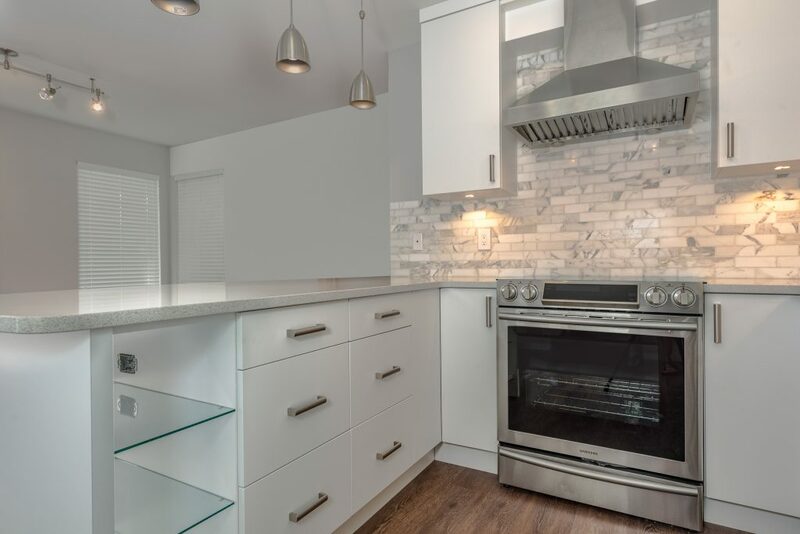 This renovation included new task, under cabinet lighting, and a feature set of pendants over the peninsula/eating area. 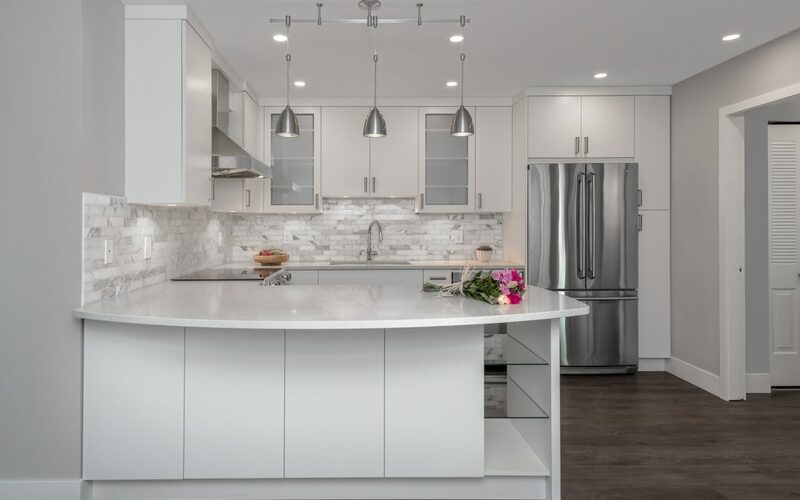 This kitchen features white high gloss cabinets, Caesar stone quartz countertops, grey and white marble backsplash and a textured vinyl plan floor.